Molly's Cupcakes is a shop that brings unbelievable joy to my life. I knew we were meant to be because first of all, Molly is the name of my favorite ex co-worker/work wife/fellow Lauren Conrad lover (she does the most impressive imitation of LC) and is also the name of my beloved puppy back in Hong Kong. 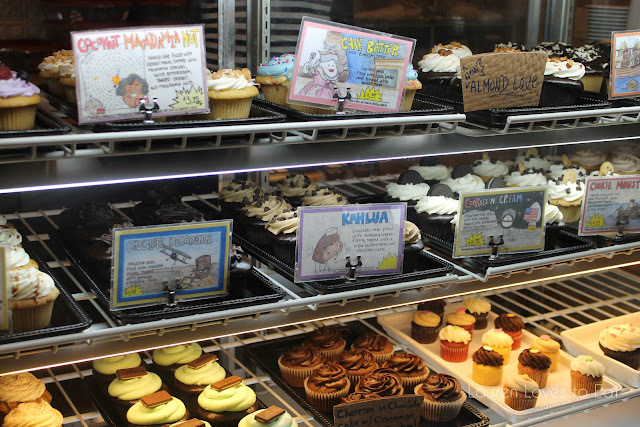 Secondly, we're talking about cupcakes here. Enough said. I only tried it for the first time last month and I've now been there 3 times already. 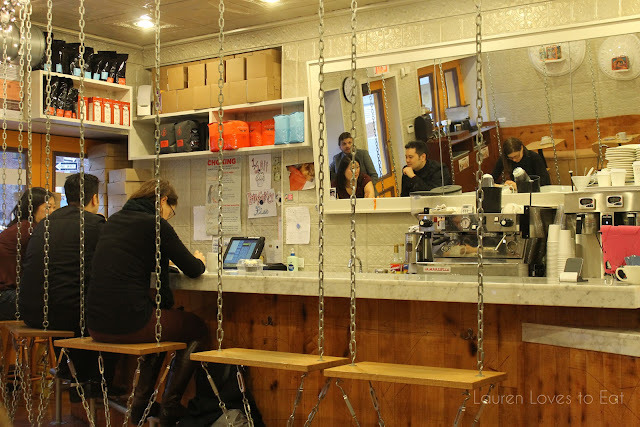 The shop offers an amazing variety of flavors, and they have sufficient seating (and even swings!) for you to actually sit down and slowly enjoy the delicious sweets! Molly's Cupcakes is located on Bleecker Street in the West Village. It's conveniently close to several of my favored restaurants-- Keste Pizzeria, Fish (which I just visited last night! ), and Mermaid Inn! 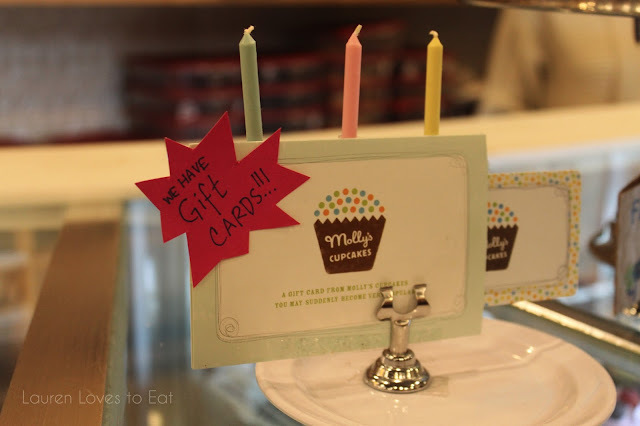 Really cute display of their gift cards. And the STAR of the show/my favorite: Crème brûlée! 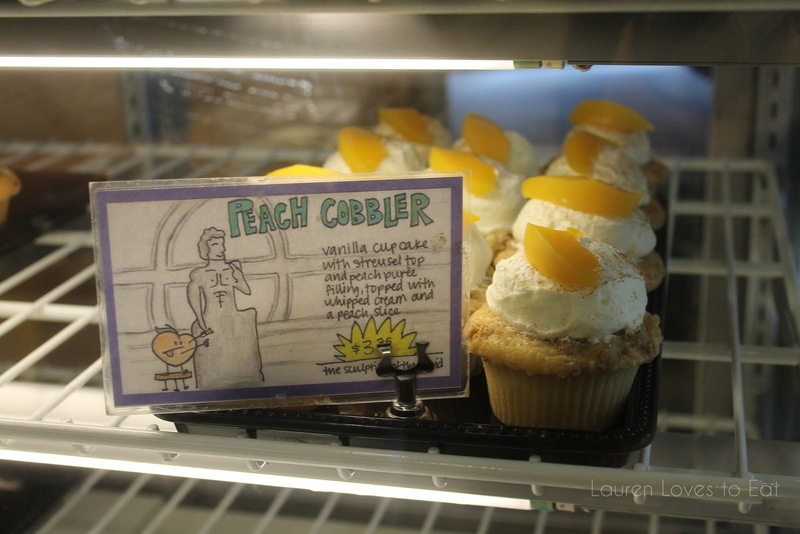 Peach Cobbler is equally delicious, and led the chef to win the season finale of the TV show Cupcake Wars! This cupcake features a center-filled jam-like peach, and is topped with the freshest soft cream. 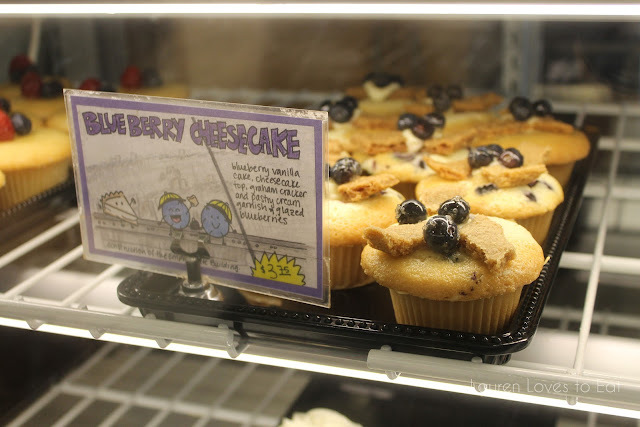 And to recommend a third must-try: Blueberry cheesecake. 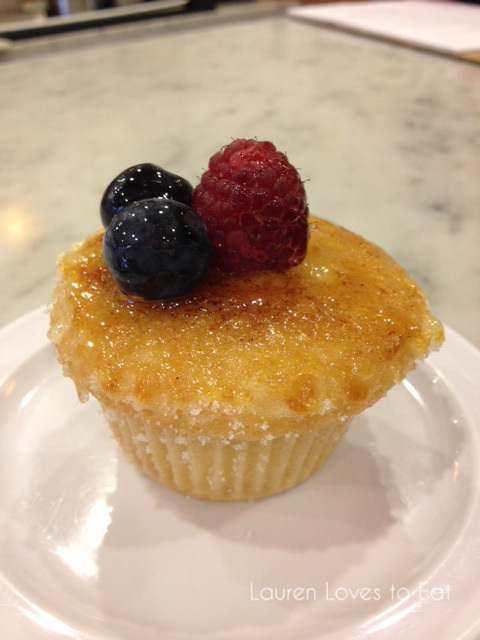 The crème brûlée features an amazing thin crispy top layer, and has a dense texture that tastes like the most amazing cake batter you've ever had. Blueberry Cheesecake: Also an amazing choice. 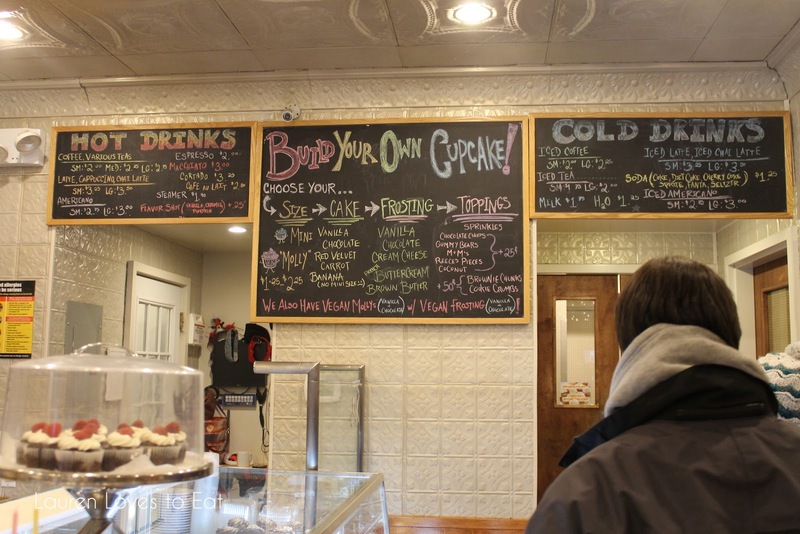 Molly's Cupcakes also offers drinks and the choice to build your own cupcake. Seating includes swings! So fun. It's a little strange to have that big mirror hanging on the opposite wall though. I guess you can watch yourself enjoy the cupcake! 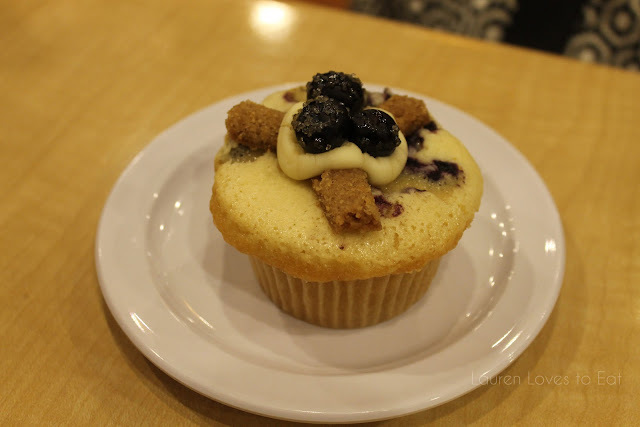 Molly's Cupcakes is great for trying dynamic flavors that are center-filled! So much gooey goodness. 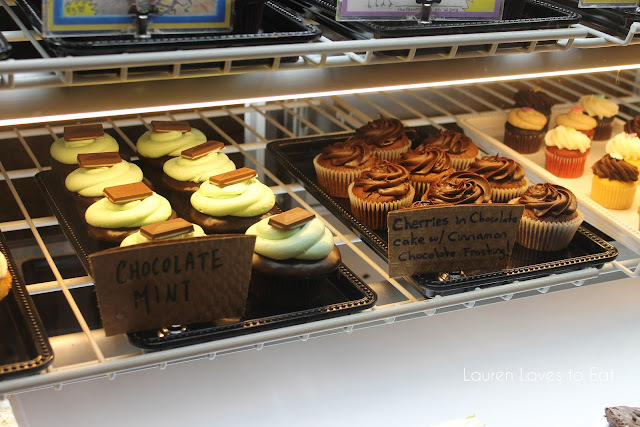 The best thing about the cupcakes here are that they aren't too sweet. 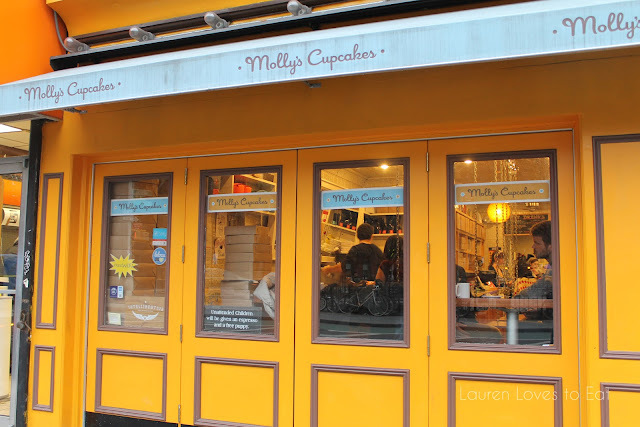 This is hands down my favorite cupcake place in New York City now. O.M.G. These look decadent. I so need to head to the West Village next week. If I keep following your blog, I'm gonna get so fat! OMG.. your dog's name is Molly, of course you would love them. :-) So nice seeing you.. and guess what.. the L train had a 16 minute wait and so I left and cabbed it. Such a waste. :-( Oh well.. must have been held up somewhere. Lauren!!! OMG!!! My husband bought 5 cupcakes this weekend because my family came over and they were all DIVINE. I haven't loved all 5 cupcakes, ever. I loved the Cake Batter, that was the best. Red Velvet is also really good. The other 3 don't stand out as much now when I look back, but they were still good. 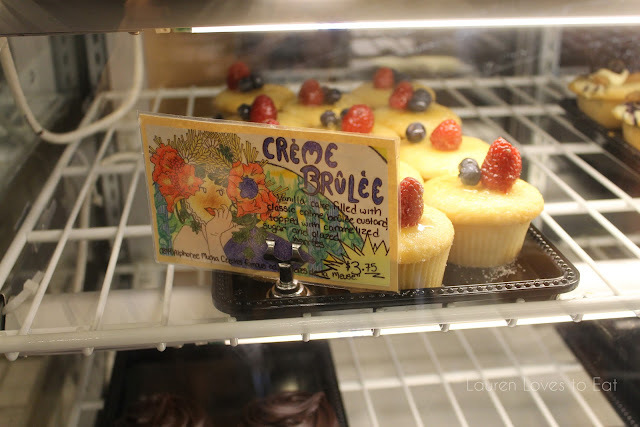 We didn't try the Creme Brulee or Blueberry Cheesecake. Man, I'm going to have to stop at this place after work and see for myself. Unbelievable. can't believe I missed out on this place since it is in the West Village, so close to me. It got amazing reviews on Yelp.